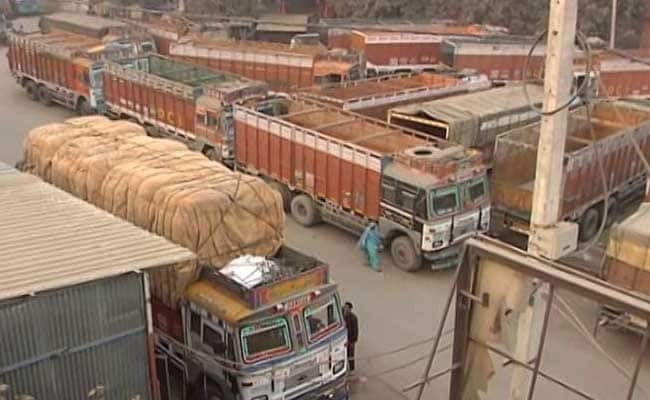 Truck operators across the country are on a 2-day token strike against the GST, high diesel prices, harassment by authorities on roads and toll policies. It has been called by All India Motor Transport Congress (AIMTC). New Delhi: The first day of the truckers strike has hit supplies pan India and caused a loss of Rs 2,000 crore to the sector, transporters body AIMTC said today. "Our two-day 'chakka jam' (strike) which began this morning has hit supplies across the country though we have exempted essential goods. We estimate around Rs 2,000 crore losses to the road transport sector on day one," said Mr Bal Malkit Singh, chairman of the core committee of AIMTC. Transporters across the country are up in arms against these issue and would chalk out strategies post Diwali to intensify the agitation if the government fails to address the grievances, he said, adding that 12 crore people are associated with the transport sector. Trucks were seen off the roads in many parts of the country including the national capital. In Mumbai, truck-operators would be staging a sit-in at Mankhurd check-post, he said. AIMTC, with over 93 lakh truck operators under its ambit claimed support from several transporter bodies. "The two day token strike called by AIMTC and supported by all its constituent members was successful on day one with about 70 to 80 per cent of business shut down across the country. We expect similar momentum on the day two," Mr Singh said. It is surprising that the government has chosen to remain indifferent to the critical concerns of the transport sector, which may lead to indefinite nationwide strike after Diwali, he said. The Indian Foundation of Transport Research and Training, on the other hand, termed the transporters strike as a "damp squib". IFTRT coordinator SP Singh said deliveries were normal in the national capital region and other cities. "Industrial belts across the country too were largely unaffected as trucks lined up for bringing in raw materials and dispatches of finished products particularly white goods and electrical products," he said. AIMTC said however that the Federation of Bombay Motor Transport Operators, Bombay Transport Cooperative Consumers Society, Maharashtra Tanker Lorry Owners Association are also taking part in the strike. "It is high time the government rationalised taxes on diesel and reduce its prices in line with the international market. Diesel must be brought under the ambit of GST to bring uniformity of pricing across the country, and the prices should be revised on quarterly basis," AIMTC's Bal Malkit Singh said.